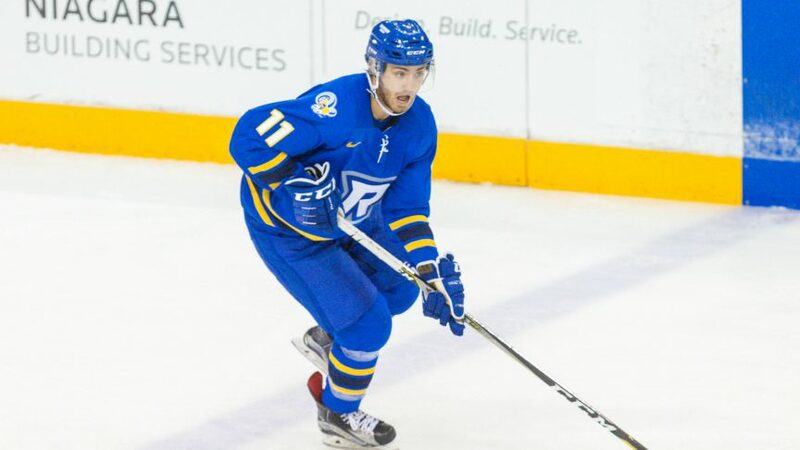 Ryerson Rams men’s hockey forward Matt Mistele has been named to the 2018 U SPORTS all-star team, according to a release made by the governing body. After it was revealed that the Rams remained in the U SPORTS Top 10 national ranking before the break, it was announced that the star winger would join a group of 24 other players. With this being his first ever selection, the former Memorial Cup champion is one of six OUA players to make the team. Mistele is enjoying his third season with the Rams, leading one of the top scoring lines in the entire country alongside teammates Mathew Santos and Hayden McCool. He currently leads the country in points (36), assists (22), and is second in goals (14). The team will be travelling to British Columbia to square off against Team Canada’s World Junior team, as the latter will prepare to defend their gold medal at the 2019 IIHF World Junior Hockey Championship. The teams will be playing in a three-game series, beginning on Dec. 12, followed by games on the 13th and 14th.